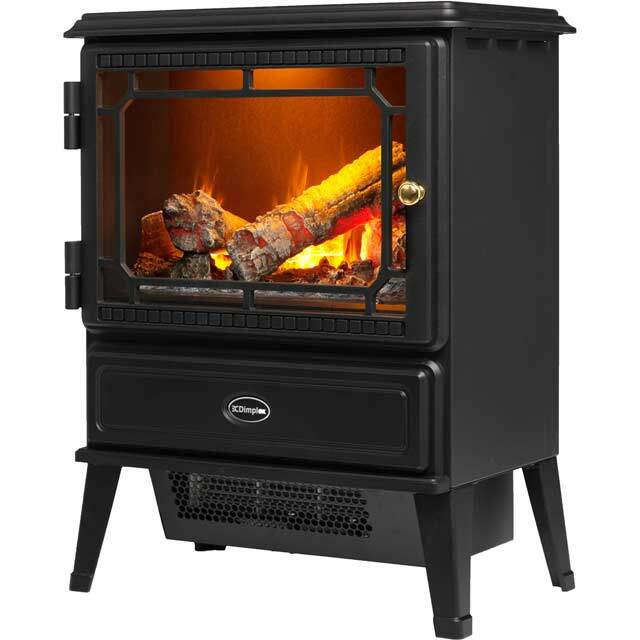 This electric stove from Dimplex acts like a real fire to warm your home. 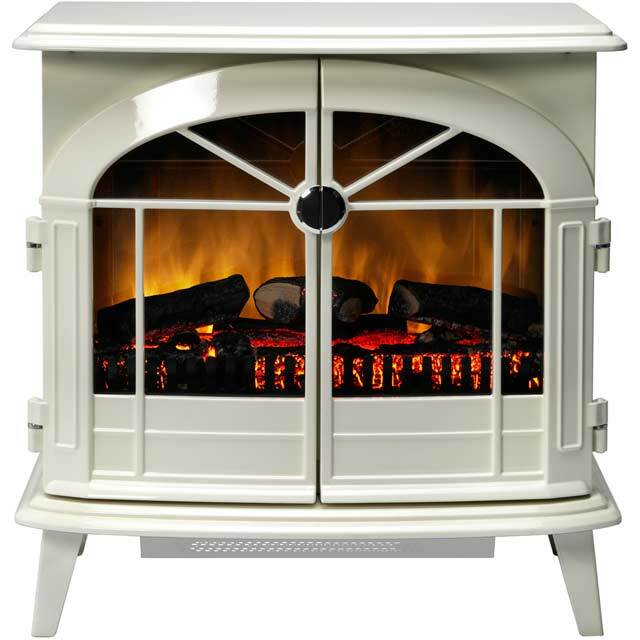 Clever Opti-myst® technology produces a realistic flame and glow that will keep you warm on chilly winter evenings. You can use the thermostat to measure room temperature and adjust the flame to maintain the perfect heat. You can choose between 2 heat settings, so you can warm your room to a temperature that suits you. 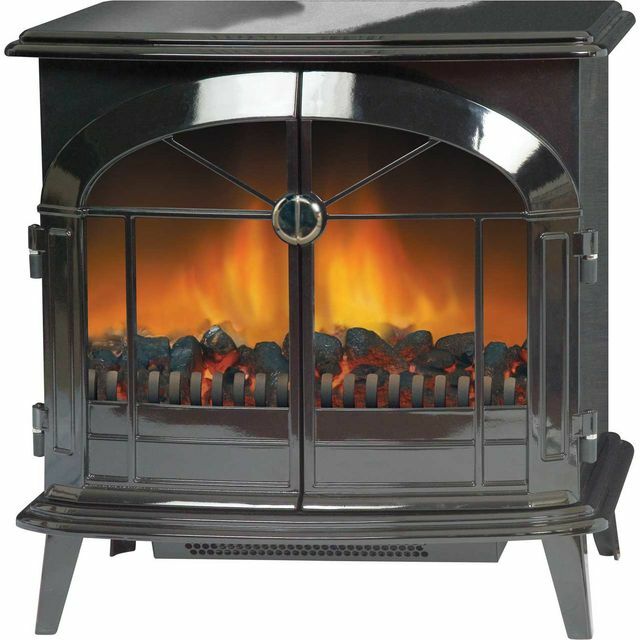 And, the flame works independently of a heat source so you can enjoy the flame and log fuel effect all year round. Enjoy an amazing flame effect with Opti-Myst technology. It uses ultrasound waves to create a fine water mist, which looks just like fire when light passes through it. This means you’ll feel even more snug as you get cosy on the sofa. This model has a built-in thermostat. If the temperature ever drops after you’ve set it up, then the stove will automatically turn on and re-heat your room, so you can stay toasty warm without any effort. Very happy with our purchase of this stove. Well worth the money. Flame effect is superb. Lovely fire, very realistic glow, you have to top up the water every few days but worth it for the effect. Throws out a lot of heat quickly. I had researched A lot of electrical fires and found this the best one. When it arrived I was shocked at actually how good it is, i would recommend to anyone. The only downside is if you have the mist on high then it steams up the glass and you can't see anything but keep it on now (which looks better anyway in my opinion) and it last for hours. I will 100% be using this company again great experience.